So you’ve been to The ‘Boat in Winter, and have discovered the beauty of the area during the Summer, but what about the rest of the year? Steamboat breathes in and out, dare we say, in a different way than any other ski town. Just ask any local. We believe some of the true luster of this place really comes out when nearly no one is here to experience it. For those who don’t know, Steamboat’s year-round population is only about 12,000, but we see the town surge to host nearly 100,000 visitors for the winter ski season. What does this mean? Think about the return of free-spiritedness, calm surroundings, and the sound of changing seasons. Every year, as the Summer season begins its turn to Fall, the town quiets slowly, and allows for a regrouping to occur. This moment of calm before the sudden uptick to winter is the perfect time to experience Steamboat Springs, the local way. As the leaves on the trees fall, the number of visitors to town also drops as kids go back to school, travelers go back to work, and the sun begins to follow a more gentle arc across the horizon. What this means to us in Steamboat year-round is more freedom, less work, and deep discounts! For some of us, the only time of year open for travel is “shoulder season”, when tourism is at a minimum and businesses around town all start regroup for the next wave of visitors. The best part about this season is the freedom it offers to the year-round residents, oh and did we mention the sweet, sweet discounts available all around town? This event signals the change from the end of bike season to the beginning of ski season, and benefits the Routt County Humane Society. Serving as a reminder to those lucky enough to live in Steamboat year-round, this event is also open to all parties interested (of legal drinking age). Part pub crawl, part bike ride, all fun, the mustache ride is also a great way to give back to this beautiful community. This year, the event takes place on Saturday, October 7th outside of McKnights. The path leads mustachioed riders downtown, to continue the fun at a variety of watering holes along the way. Tickets are $20 to get in the door of each participating location, but another $10 or $20 will also get you one adult beverage at each stop. Kick off the Fall the right way, and help give back to the Routt County Humane Society. Every year since the 1991/1992 ski season, a special day has been designated for the local youth ski program, winter sports club. This is opening day with an ulterior motive. 100% of proceeds from lift ticket sales (usually around $30) for this particular day go to supporting the Steamboat Springs Winter Sports Club. Get your skis tuned and get ready to rip down the mountain for a good cause. Wednesday, November 22nd, 2017. Don’t be afraid to come see what its really like to live like a Steamboat local, and let us know of any deals you find around town. That’s what being a local is all about, right? Sharing your experiences with others. Just remember, Simply Steamboat employees have all the inside scoops for activities and deals around town. 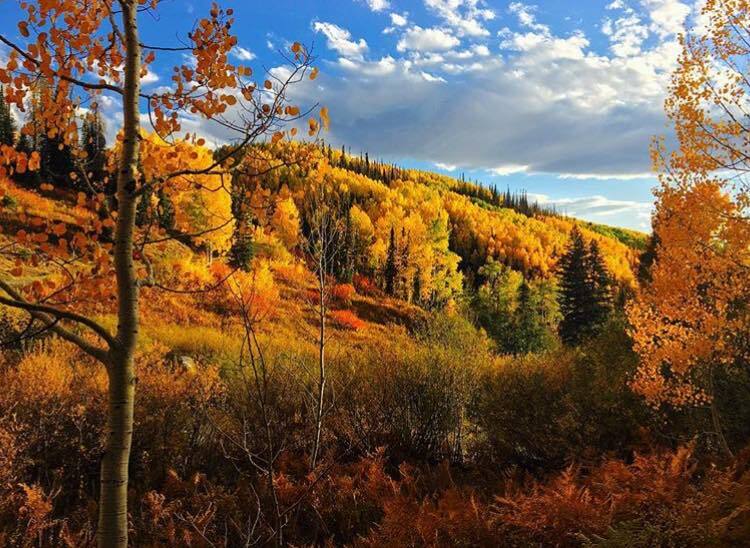 After you’ve booked your fall escape with Simply Steamboat we’ll make sure you know about the best deals in town! Next Article Its Spring in Steamboat, Are you Ready?